There’s nothing esoteric about brand leadership. It is, in fact, a concept that can—and should—be demonstrated in the actions an organization takes every day. Chris Wren (@chriswrenla), who contributes to Branding Strategy Insider, has recently shared some excellent thinking about it. He takes as his example what Chase and Kraft did during the recent and highly stressful government shut down. Among other things, Chase—and other banks as well—offered 0% interest loans and canceled overdraft fees to help strapped families. And Kraft quickly put together a pop-up store in Washington, DC to allow government employees to pick up Kraft products for free. Kraft also invited other brands to participate. An aside: a 2014 report from the Federal Reserve notes that nearly half of Americans can’t come up with $400 in emergency expenses without borrowing or selling something. Though it’s five years later, I’m betting that this scary situation has probably not improved. Mr. Wren points out that consumers want their brands “ … to do more; to take a stand.” From everything I’ve been reading, this is a particular requirement millennials have of the brands they embrace. To want a brand to stand for something is all about its purpose. So how does brand leadership translate into our personal lives? 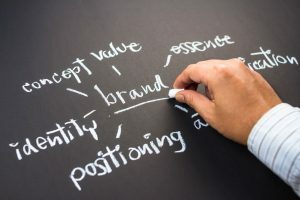 Most of us are familiar with the concept of the personal brand (https://en.wikipedia.org/wiki/Personal_branding), which, in my opinion, can seem a bit cynical when you read the definition on Wikipedia. On the other hand, maybe not. If you look at what brands did during the recent shut down, meeting people’s needs in a straightforward way, associates them with good, even if that good is ultimately associated with making money. If we step out our doors every day with the intention to be kind, to be patient, to be compassionate, and to give our daily work our best, then even when we fail, we’re still better people than if we hadn’t embraced that purpose. Have you thought about brand positioning lately? I think about it quite a bit, likely because I’m a content creator and branding is on my clients’ minds. Ivan Levison, the Bay Area’s king of direct mail, has thought about it too. In a terrific short article from May 2017, he presents a Southwest Airlines mini case study that gets right to the heart of the matter. Anyone who has ever flown Southwest is familiar with what Mr. Levison refers to as “a bit of a Hobbesian state of ‘all against all’” when it comes time to find a seat on the aircraft. And he comments about how an old Southwest commercial—which I’m unable to find TV—cleverly turns the lack of reserved seats into a benefit. Here’s the scenario: Billy spends his early life in a high chair, placed there by his loving mother. At school, his teacher creates a seating chart, and he gets plugged into the seat he’ll keep for the rest of the school year. Later on, he goes to work, and his boss points him toward an unoccupied desk. And so it goes. Billy sits where he’s told. Mr. Levison points out that Southwest transformed the “free-for-all scramble . . . into a liberating expression of individual freedom.” Billy no longer has to go where he’s told. He can now choose. In essence, Southwest found a clever way to counter travelers’ consternation at contending for seats by making the effort an expression of personal liberty and maybe even a little bit fun. And Mr. Levison astutely notes that this kind of marketing sleight of hand is something any company can use to build its business. His article calls to mind the old Avis ad, which I present as a bonus at the bottom of this post. Have you got any examples of brand positioning where an organization has been able to turn a problem into a pot of gold? 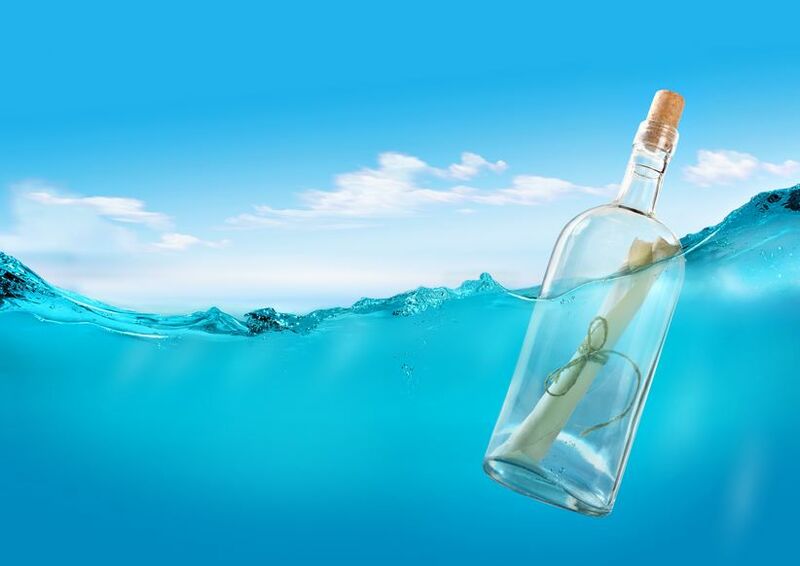 How do you create a relevant and engaging brand experience? Darren Coleman, author of Building Brand Experiences: A Practical Guide to Retaining Brand Relevance, describes it as both a creative and systematic process. At least in my opinion. In a recent article, he presents four elements of the brand experience environment, which is the context in which your brand and associated experiences are built. After understanding your stakeholders and managing their expectations, you must fine-tune your perspective. Embrace transparency, says Mr. Coleman, and offers millennials as his example. 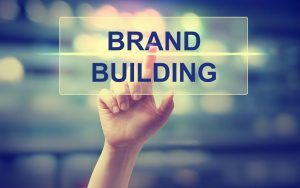 They are “drawn to brands based on who they are, what they stand for, and why they exist.” Make sure that building a robust brand experience doesn’t stop at marketing but spans the entire organization from HR to operations and facilities. Compete through value, rather than price. All the cost-cutting in the world won’t help if customers don’t see the value in your product or service. As Mr. Coleman puts it, “ … even in austere times customers make buying decisions based on factors other than price.” Be patient. It takes time to build a brand experience. Fast-growing brands like Google, Facebook, and Amazon are the exception, not the norm. Don’t freak out at having less control than in the past. Monitor real-time data feeds so you know what’s going on with your brand and, by all means, work with social influencers to shape what you can. Next, consider how to deliver your brand experience. Emotional appeal is critical. Mr. Coleman says, “Irrespective of the market you operate in you need to understand how you want to make your stakeholders feel then build experiences that help you do that.” Empower your customers to co-create. That is, allow them to personalize products or build their own stories about their relationship with your brand. Doing so “engenders a sense of control,” which (in my opinion) we’re sadly lacking in today’s world. And create experiences that span all channels. Omnichannel is powerful. Finally, be data-driven. Mr. Coleman says, “Insight, not anecdote, needs to drive the brand experience building decisions you make.” Boards like numbers, but don’t forget including qualitative insights for a holistic approach. Don’t neglect employee and brand metrics for a sole focus on financial metrics. I’m looking forward to reading Mr. Coleman’s book. 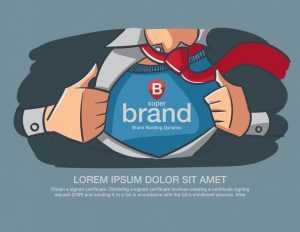 The article summarized here is persuasive in its emphasis on creating a brand experience environment that works in today’s business climate. I’m thinking that it will be as useful to start-ups as it is to established companies that have decided to rebrand. What is an employer brand, and how do you create one? Most of us are acquainted with the basics of branding, at least the customer-facing variety. But how many of us have done much thinking about the employer brand. 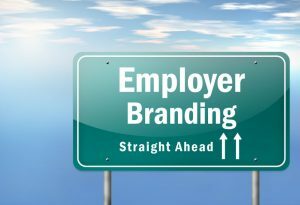 Adam Fridman has, and he delineates “3 Essentials to Crafting a Thriving Employer Brand,” in a recent article for Branding Strategy Insider. A company’s employer brand must be as strong as its customer-facing brand. That is, its reputation as a place to work and its employee value proposition must be as carefully thought out and consistently executed as a brand targeted at customers. Simply put, purpose is not about the corporate mission statement, to which many employees pay scant attention “because it has nothing to do with the day to day operations of the organization.” Purpose, Mr. Fridman says is an intrinsic motivator that transcends profit. His example is Apple, whose purpose is to think different, to be all about being the best. Purpose drives inspiration, and inspiration is why employees do what they do, day in and day out. So, what are habits? They’re the micro-actions that comprise daily operations, and they’re an essential target for the employer brand. Mr. Fridman comments that the micro-interventions used in positive psychology are a scalable way to establish and maintain an employer brand. Properly chosen, they can resonate across an entire work day, even though they take only minutes. I’m from the era where people hired on, got a fast review of benefits (and maybe an employee handbook), and then plugged into their positions. Clearly, some companies were better than others to work for than others—and the word got around—but the concept of an employer brand didn’t seem to get that much thought. With the ubiquity of social media and the empowerment of the individual communicator, times have changed. Organizations would do well to make sure that their internal branding and employee perceptions of it are in sync. Because employees are, after all, customers, too. Fear is ubiquitous worldwide and so, it appears, is fear-based marketing. Chris Wren (@chriswrenla) has recently contributed an excellent article, “Can Brand Value Overpower Fear-Based Marketing” to the Brand Strategy Insider content line-up. This piece draws on the ideas of many contemporary thinkers, so you should check it out for more detail. If you’re involved in branding—and frankly I think we all are in one way or the other—it’s worth the five minutes it will take you to read. Citing Russ Henneberry at Crazy Egg, Mr. Wren says that fear is hardwired into our brains. When confronted by something fearsome, we wonder how likely it is to hurt us, how bad it will hurt, and whether we can avoid the pain. But relying on fear can boomerang. Jennifer Perkins of Smith Brothers Agency warns that “Fear may cause people to stop and think momentarily, but in the long run, it may just cause frustration and actually have the opposite effect of what you had hoped for.” She advises making the interests of the target market and the advertiser congruent. Mr. Wren agrees, “There are legitimate reasons to highlight real threats that merit the attention of consumers. But we live in a world in which so many threats are wildly exaggerated or outright manufactured, that the role of an ethical brand is to consider which products, services and causes can only be effectively marketed using fear and limit their choices.” An interesting thought, and yet I wonder if this offers a bit too much latitude to some to continue their wicked ways. Tell the truth, even if it hurts. Or don’t and risk embarrassment. 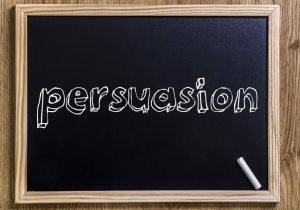 I recently came across an article on the use of persuasion in branding, published by Branding Strategy Insider. Written by Paul Bailey (@paulmarkbailey), it makes an excellent case for the use of persuasion in branding strategy. Like Mr. Bailey, I do not see persuasion as a dirty word in the context of branding, though ethics are involved. Certainly we would not want to persuade someone to do something wrong or self-injurious. And we should “believe that there is some value and benefit in the brand to people” before we make our attempt at persuasion. Think about it. We persuade others—or at least try to—every day. Most of us have good intentions, so our persuasiveness is generally for a good cause, even if that good cause is ourselves. Most of the people we’re persuading are pretty smart about figuring out the purpose behind our words. So an attempt at persuasion is not necessarily beneath us or the influencers we recruit to speak for us. Recent research published in the Harvard Business Review indicates that learning something new can be the gateway to reducing stress. Professors Chen Zhang, Christopher G. Meyers, and David M. Mayer note that human beings under stress at work tend to engage in some pretty negative behaviors. Among other things, they may act unethically—being unpleasant to colleagues, for example— make lousy decisions, and exhibit other less-than-wonderful side effects of exhaustion and burnout. Typically, stressed-out workers take a couple of approaches to the problem. They try to ignore the problem and push on through. The classic “gut it out.” Or they “temporarily disconnect from work and get away from the stressful environment.” They might, for example, pay a visit to a nap room or hit the company gym. Unfortunately, neither approach works all that well. The professors point out that we humans hit the wall when we try to press on. And when we take a pleasurable work break, we don’t really address the underlying problem, which is waiting for us when we get back to our desks. 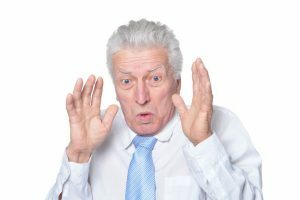 Fortunately, workers who want to deal with the anxiety, poor performance, and bad behavior engendered by stress can shift their focus to learning something new, gathering new information, or looking for intellectual challenges. 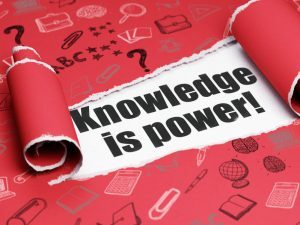 How can learning something new help? Instrumentally, say the authors, it can provide information, knowledge, and skills that can help solve the immediate problem and make it possible to meet challenges coming down the pike. Psychologically, it can help develop feelings of competence and the sense that we are capable of meeting our goals and achieving more. “This way, we can see ourselves as constantly improving and developing, rather than being stuck with fixed capabilities. These psychological resources enable us to build resilience in the face of stressors.? The second prong is to “work and learn with others.” That is, ask your colleagues for ideas. They may offer great insights or ask questions that get you started in a different direction. I believe it’s easy to get cynical about the value of learning something new, particularly if you’re under the gun to produce a quality product fast. But I wonder if taking a couple of extra hours to learn something that will help your performance might not be the best way to feel in better control of a trying situation and yourself. Early in the article, she mentions making several attempts to ask a senior-level woman at a Big Eight (now Big Four) to go to lunch with her. The rejoinder? “Look, there’s only room for one female partner here. You and I are not going to be friends.” Ouch. And yet I bet many readers of this post have had similar experiences. She notes that when she graduated from college in the ‘70s, she believed that women had “arrived” and viewed the lack of women at the top as a “pipeline” problem, not a cultural one. Men are 46% more likely to have a higher-ranking advocate at the office. White men make up 36% of entry-level corporate jobs and women 31%. White men make up 47% of the first rung above entry level and women 26%. At companies where women comprise 10% of senior leaders, nearly 50% of men think women are “well represented” in leadership. At the Big Four, 40% of employees are women but only 19% are audit partners. 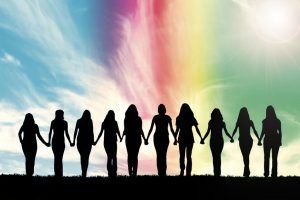 Ms. McNulty wants us to speak up “vocally, loudly, and proudly” even though research shows that women are “penalized for trying to lift each other up.” I agree, though advocacy is not an easy task. Discrimination against women is so institutionalized in places as diverse as Hollywood and Silicon Valley that it’s still not a surprise to find Queen Bee syndrome among those who have made it to the top or close to and in women’s organizations that claim to support women. I recently finished writing a short story in which one of the characters, a bright and ambitious young woman, decides to marry a man she doesn’t love. Her game plan is to time gestation so she may never have to go back to work. An interesting approach but not one that will work for many of us. Developing smart and strategic orneriness seems like a better option. Yes, first impressions do count. Science has come up with what people decide within seconds—or milliseconds—of meeting you. And you don’t even have to open your mouth. Social status: Wear recognizably name-brand clothes. (A Dutch study mentions Lacoste and Tommy Hilfiger) In this case, clothes don’t necessarily make the man—or woman. According to the authors of the study, wearing status clothes didn’t affect perceptions of attractiveness, kindness, and trustworthiness. Trustworthiness: People make this assessment in a tenth of a second. Taking more time doesn’t change the rating. Ms. Premack notes folks with “more feminine, baby-like, and happy” faces are seen as more trustworthy. So, if you look like Dwayne “the Rock” Johnson, you need to compensate by smiling more, leaning into a conversation, making strong eye contact, and mirroring the other person’s body language. Intelligence: Looking your conversation partner in the eye is huge. It also helps if you wear thick glasses (thick, blocky-looking frames are a plus here). and speak expressively. Promiscuity: A Britain study revealed that women with visible tattoos are seen as less attractive, heavier drinkers, and looser sexually than un-inked women. This study didn’t look at men in roughly the same category, known in Britain as “lads.” I, for one, would be interested to see how male promiscuity is evaluated. Success: “If you want to look successful, get your suit tailored.” In one study, it took viewers only five seconds to rate men wearing tailored suits as successful. Not a big surprise, because tailored suits cost bucks, which successful people have. Perception of tailoring is a matter of taste, I guess. I absolutely hate the suits younger guys are wearing with their tight, high-waisted, single-button jackets and oddly shaped, short, ill-fitting trousers. Agreed. Yet, as pointed out earlier, our smiles are important, as is our ability to make eye contact. To this I add standing up straight, stashing your cell phone, and having a real conversation with someone. Susan handled a fast turnaround project for a Stage 4 Solutions client, quickly assimilating information about a new social media technology and producing website comment that pleased the client.